A western with all the style and none of the substance, The Quick And The Dead is filled with clever artistic touches but is also well short when it comes to essential elements like rounded characters and plot depth. In the small town of Redemption, former outlaw John Herod (Gene Hackman) rules over the population with an iron fist as a self-appointed sheriff, judge and executioner. 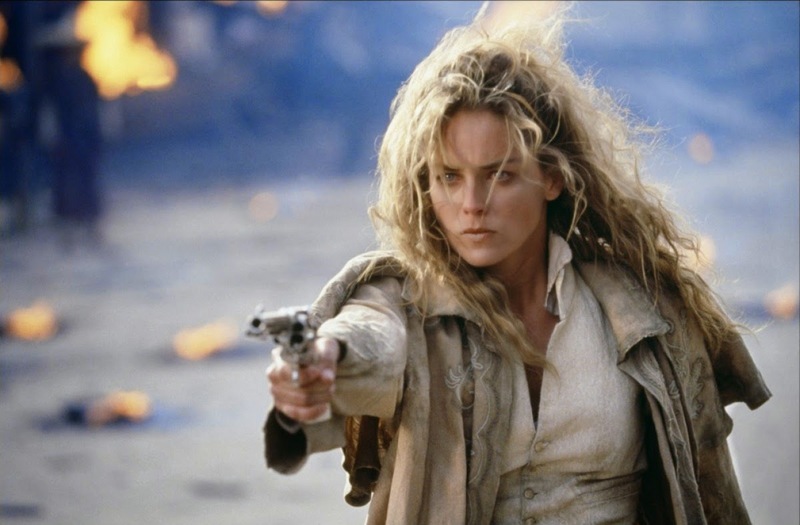 The Lady (Sharon Stone) rides into town seeking revenge against Herod for an ancient wrong, and registers to participate in an annual quick draw gunfight elimination contest, hoping to give Herod his due. The other entrants include gunslinger Ace Hanlon (Lance Henriksen), bounty hunter Clay Cantrell (Keith David), and The Kid (Leonardo DiCaprio), who claims to be Herod's son. Herod also forces his former partner in crime Cort (Russell Crowe) to join the contest. Cort has renounced violence and become a priest, but Herod is having none of it, holding Cort in shackles and forcing him to participate in the gunfight series or die. As the contestants are thinned out through successive and increasingly deadly duels, The Kid, The Lady and Cort emerge as the main challengers looking knock Herod off his perch. But beating the old man at his own brutal game will not be easy. Directed by Sam Raimi and co-produced by Stone, the film is notable for featuring significant pre-stardom roles for DiCaprio and Crowe, both promoted and supported by Stone. In a case of too many ideas all poorly developed, the film tries, with limited success, to be an amalgamation of relevant classic western themes, including revenge, corruption, betrayal, profiteering, redemption and the struggle between religion and the gun. But Raimi does deliver on all the required aesthetics. The Quick And The Dead looks gorgeous, from Stone's layered clothes to the town's simple layout. The camera angles are often brilliant, the gunfights are filmed with plenty of panache, and the town's clock tower stands witness to all manner of courage and death on the dusty main street. There are plenty of Leonesque touches, from tight close-ups of the eyes to the long dusters used by Herod's men, plus a few special Raimiesque flourishes when it comes to portraying bullet damage. But The Quick And The Dead is missing almost everything else. The characters are presented in broad brush format, the backstories are rudimentary, the dialogue is a barrage of recycles clichés, and The Lady's revenge motive is borrowed wholesale from Once Upon A Time In The West. The plot is reduced to a series of successive gunfights, the film falling into the trap of too many punchlines and not enough set-up. 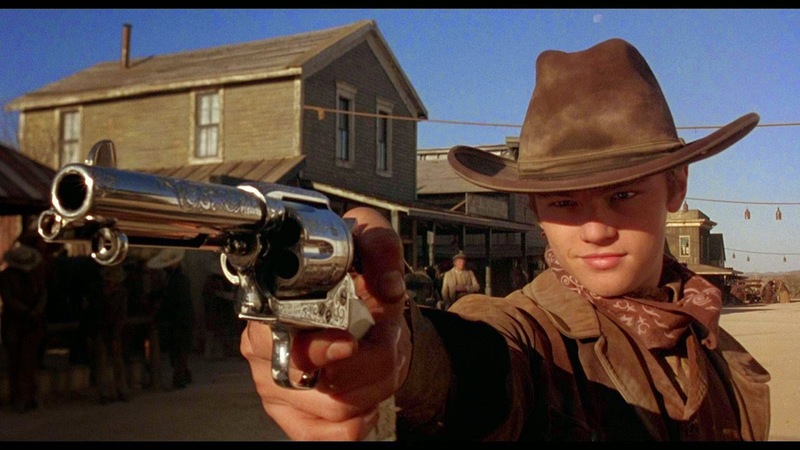 Any showdown moment loses its impact when repeated endlessly, and The Quick And The Dead has too many moments when one gunfighter is quick, and the other dead.